Manufactured without heavy metals and toxic chemicals, Aquatherm Green Pipe is the safest option for potable water systems, including food/beverage processing and domestic water piping systems. Many piping materials, like copper and inferior plastics, allow trace amounts of chemicals to leach from the pipe walls and into the water it carries. Not Aquatherm Green Pipe. 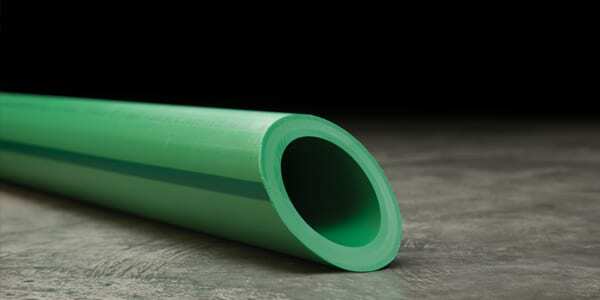 Made from polypropylene, Aquatherm Green Pipe doesn’t react with water. This prevents leaching, corrosion, scaling and erosion—major causes of water contamination and long-term piping failure. Aquatherm Green Pipe is also installed using heat fusion. Since there’s no glue, solder or gasket on the connection, the potable water system remains free of hazardous chemicals. Plus, the distinct color of Aquatherm Green Pipe blocks sunlight from passing through the pipe wall and promoting biofilm formation. Aquatherm Green Pipe is certified in accordance with UPC, IPC, IRC and the NPC-Canada for hot and cold potable water systems. When you choose Aquatherm Green Pipe for your projects, you can rest assured that drinking water stays pure from source to destination.